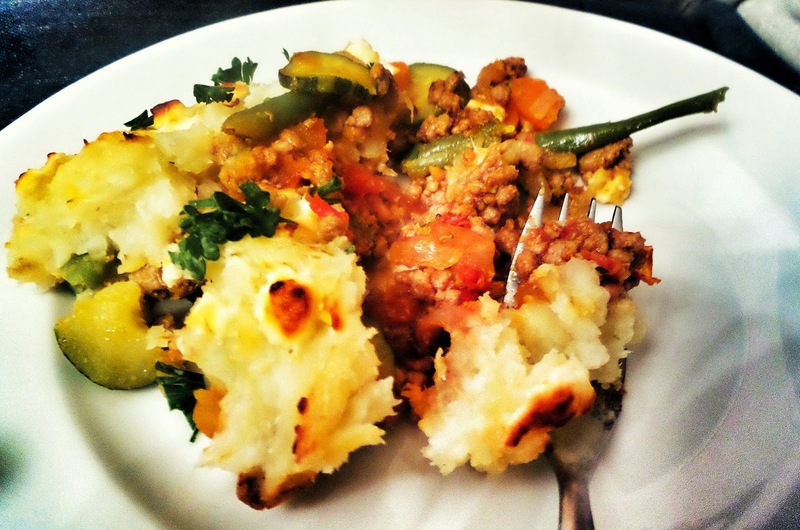 I love shepherds pie, but to be honest, the stodgy white potato bores me - not just because it's an evil white starch and a HUAGE no no on my semi-strict paleo food list, but also because when I do eat it, it always seems to need copious amounts of salt and butter. 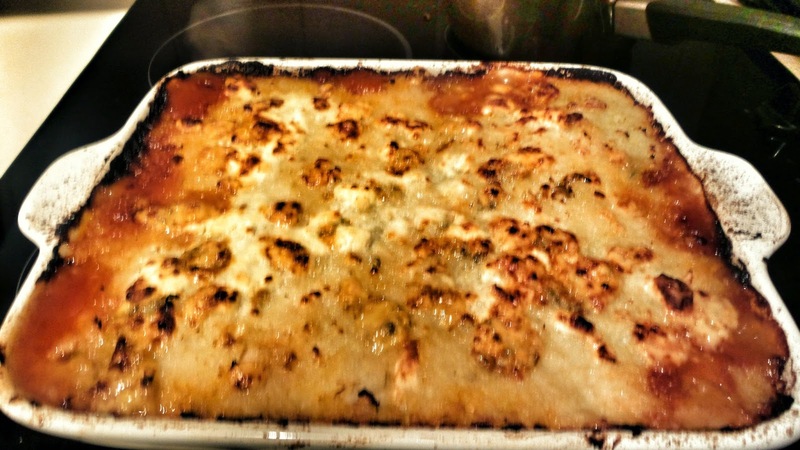 So after a bit of research I came up with my own little recipe for Shepherds Pie! 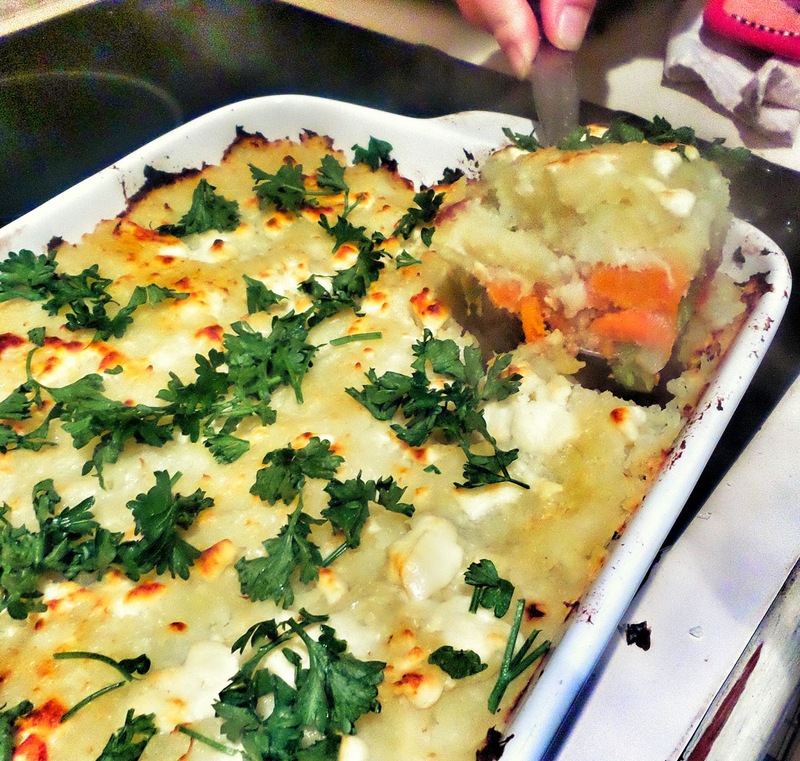 Layered with delicious sweet potato and cauliflower mash. Sprinkled with - wait for it.. Blue cheese - hells yeah! I must say it went down pretty well. Dice the onion and fry until translucent. Add tomato and onion mix and simmer until it reduces. 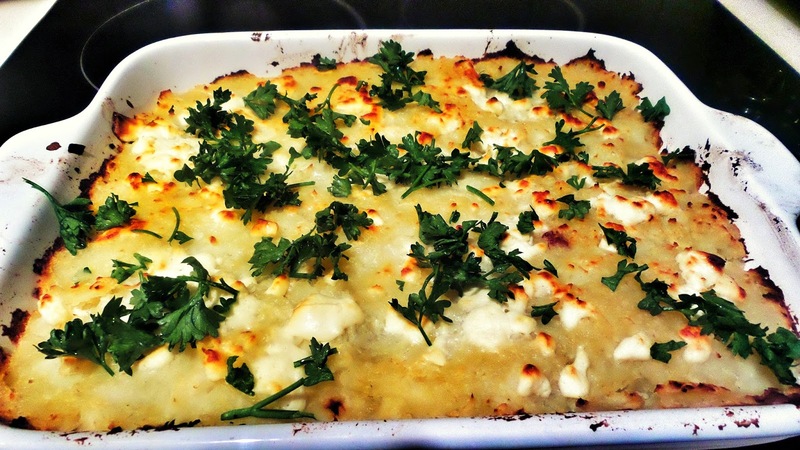 Bake for a further 10 min until cheese melts.